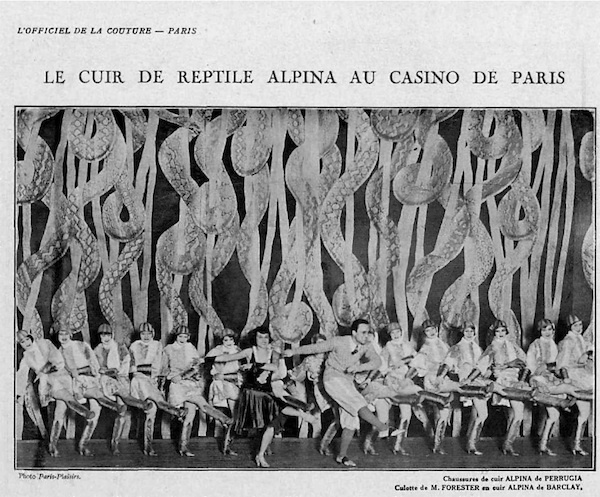 Perugia association with the tannery Alpina started in 1927 and landed theatrical jobs like "The Forest Of Snakes" starring Mlle. Suzette O'Nil and Jack Forester as the snake hunters. (The snake hunters both) clad in charming boa and karung clothes leas a delightful battalion of the Tiller's girls also dressed in reptile's skin. The dancing is very animated and harmonizes with the colour and movement of the reptile leather. 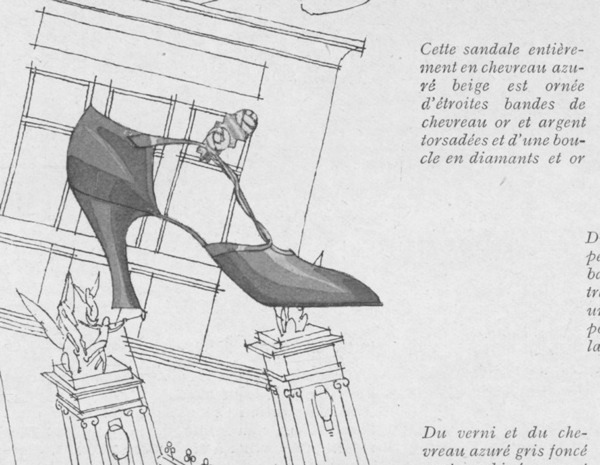 This touch of art and modern fashion creates an illusion and enriches the staging of plays with new possibilities that will certainly be exploited again on other theatres. 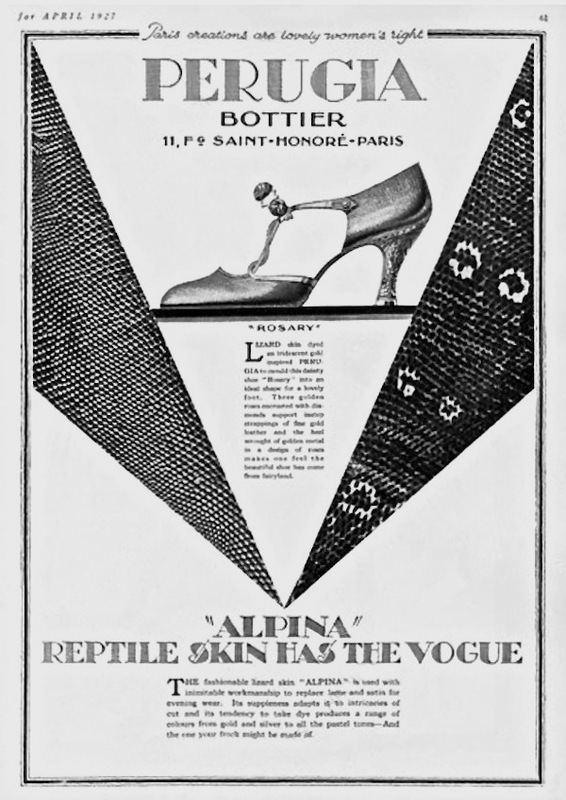 Hardly a cornerstone of theatrical pieces, "The Forest Of Snakes" shows product placement of the highest order but more stylish than today's standard. Long forgotten now and relevant only because Perugia's involvement. 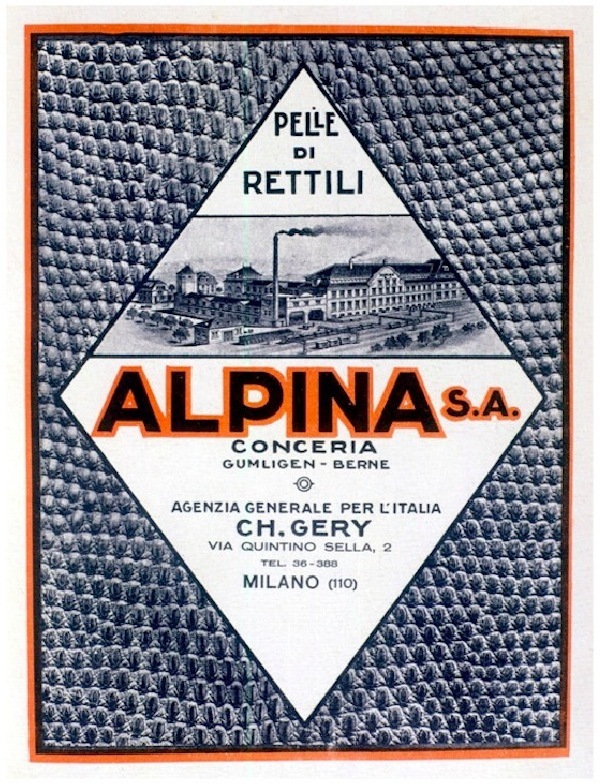 Alpina was a French corporation with offices in Germany, Great Britain, Italy and of course France. 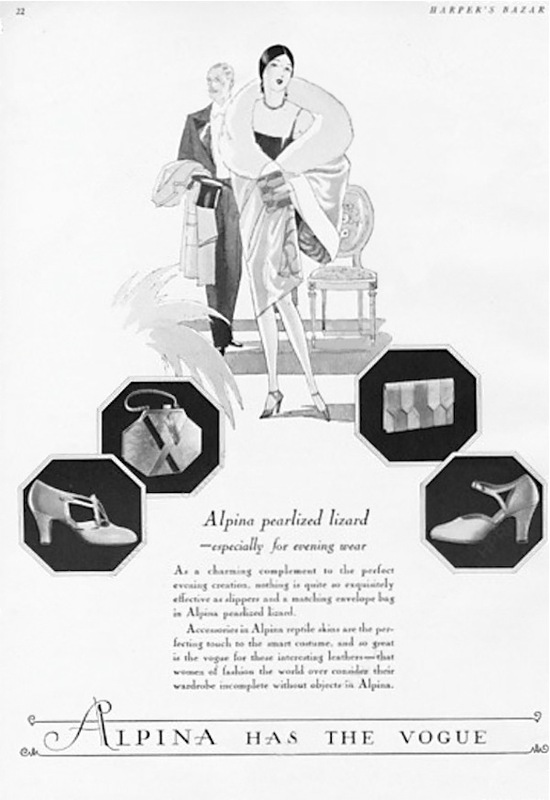 The models shown above may be or may not be Perugias, but the shoe on the bottom left bears a resemblance with the model Caprice. The model "Rosary" was first featured back in June 1926 in L'Art Vivant magazine. Its silk version is part of the Metropolitan Museum of Art collection (and still dated 1924).